There is an old cliché that states that;”your business is worth what a buyer is prepared to pay for it”, whilst this is true, most sellers need a realistic valuation range before making a decision to put their business on the market. 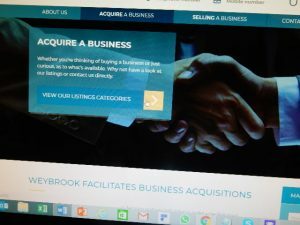 At Weybrook we’ve seen that buyers are active in the marketplace, but have observed that the prices being paid are conservative, so we decided to do some research to get a feel for the marketplace. Our findings are shared below. Two-thirds of respondents use a multiple of EBITDA (earnings before interest, tax depreciation and amortisation) a quarter use a multiple of PE (price earnings ratio) and the remainder use DCF (discounted cash flow) as their valuation models. A minority of buyers see tax as a legitimate cost and therefore use PE as their valuation tool. 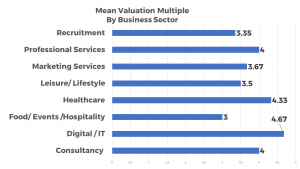 The highest multiples are being paid in the Digital / IT sectors with the lowest in Food/ Events / Hospitality but buyers do point to future value/cash flow being the key driver of how high the multiple is. 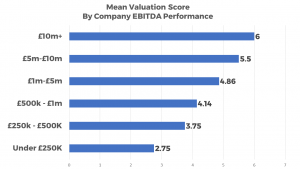 The multiples paid by valuers using PE as a valuation tool were up to 1 point higher than those used for EBITDA. The multiple for “other sectors” came to 4. Buyers will typically be happy to pay more for companies with real profit growth prospects. How much will buyers pay on completion of the sale? The answer here varies between 0 and 80%, with the mean score being 49%. This is not what most sellers want to hear, as earn outs have a bad press, with the fear being that new owners will manipulate future profitability in their favour. However, the research suggests that sellers will have to be realistic. How long will the staged completion payments take? With only half the fee being paid on completion, the full amount is likely to be paid anywhere between 1 and 4 years after completion. 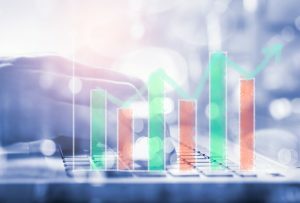 The majority of buyers use a multiple of EBITDA to value a business they are looking to purchase. The multiples do vary a little by sector and will increase for businesses that generate higher profit levels. The multiples typically start at 2.75 for businesses generating an EBITDA less than £250k and rise to 6 for businesses generating over £10m. This research confirms that buyers are currently paying conservative prices in the current market. This research was conducted in August 2018 and the survey was sent to over 50 regular business buyers. The response rate gives us the confidence to publish the results, showing a good snapshot of current business buyer intentions, but the survey cannot be said to be a definitive UK Market survey. Once you have decided to sell your business you will need to put together an information bank. The more preparation you do up front, the smoother the selling process will be and you will be less likely to face hiccups and delays during the due diligence process. • Data – what data do you hold and what is your GDPR plan? This list is not exhaustive, but if you can provide the majority of this information you will be very well placed to sell your company. If you don’t have it up front, you will more than likely be asked for all or most of it by a prospective purchaser. Failing to provide it, could slow down, or even halt your sale! As a farmer’s son I have always been a keen observer of the weather and how it affects the flora and fauna it comes into contact with. 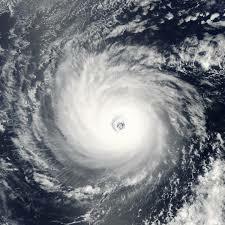 There is no doubt in my mind that there are very noticeable clues that our climate is changing. There is also no doubt in my mind that climate change has always been a factor, much of Britain was once covered in ice and that ice has retreated significantly since these islands were in the grips of an arctic climate. Indeed ice ages have come and gone many times. Previous changes have been driven by mother nature, what is different this time is that mankind is accelerating the change with our carbon emissions. The majority of rational opinion seems to accept that we are accelerating that change and there is now significant scientific support for this view too. We know there are some significant climate change deniers too. Whilst opinion is moving into acceptance mode, our actions as individuals, organisations, and governments are lagging behind. True the Paris Climate Agreement which was signed by c. 174 countries in December 2015 looks to limit global temperature gains to well below 2 degrees centigrade this century and most signatories intend to play their part, but it is a voluntary agreement being put at risk by none less than the President of the USA. Global warming, caused by CO2 emissions released into the atmosphere by burning fossil fuels, currently costs global GDP a staggering $1 trillion in damages p.a. Small wonder the UN, IMF and World Bank have all called for a carbon price: policy makers in government and corporations urgently need this price so they can account for the true cost to humanity of their decisions, activities, and investments. I firmly believe every one of us has to play their part in challenging the naysayers and to make a contribution to protecting our environment and climate. As well as making lifestyle changes I am delighted to be marketing the World’s first scientifically based carbon pricing company. Way ahead of the curve, the company I am bringing to market is the ONLY one in the world to have scientifically determined the true carbon price, based on the loss and damage caused by extreme weather events attributable to manmade climate change. This company alone can put a scientifically accurate $ price on this: dollars per tonne CO2 – not just tonnes of CO2. 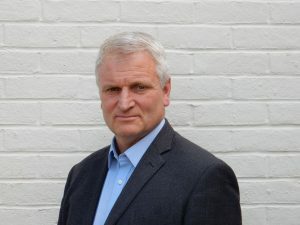 This company’s exclusive, world leading IP and technology enables a huge range of unprecedented capabilities including: monetized carbon auditing of big-ticket projects like nuclear power plants; measurement of carbon liability of, say, proven reserves of oil companies; assessment of carbon liability Value at Risk (VaR) for asset managers across all industry and energy types including renewables. So if you want to take a global leadership position in auditing your carbon usage, liability and the what value yours and other organisations have at risk, click on this link and if you are serious I can introduce you to the team. I am not a climate scientist, climate expert or even a campaigner, but care passionately about this planet and the legacy we leave for future generations. So if I can find a buyer for the company I am representing, whom gives it a platform to ply its trade on a global stage, then I believe I will have made a small (albeit very) contribution to saving this planet. If you know a policymaker, asset manager, consultancy or government or academic body or corporation that is brave enough to take a global leadership position in carbon pricing then please pass this message on. 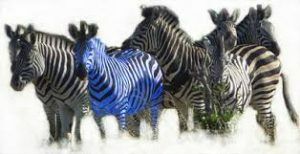 So you are a Business Broker -what makes you different? A question prospective clients always ask me, is what makes you different from the competition? It is very tempting to polish up a gilt-edged response and I guess to a certain extent I have. My journey to becoming a business broker, has been a long one, I have spent over 30 years running and marketing businesses, along the road I have been involved in a number of M&A transactions, plus in 2007/8 I lead a team attempting to buy a brewery. We were a long way down the line, had a good business plan in place and indeed had an initial financing ready to go. The clue is the year and the credit crunch put paid to our funding. I had to walk away and then spent 7 years running racecourses for the Jockey Club, which gave me strong hands-on experience running businesses. Throughout the period at the Jockey Club I had a burning desire to own my own business and when I left I embarked on a journey trying to buy a number of businesses. It was that experience that opened my eyes to the fact there is a gap in the marketplace for brokers that really do offer a good service. All too often I found my self in a position where not only was I poorly briefed, but so to were the potential vendors. Talking to those vendors a few key realisations dawned on me, firstly I am extremely interested in small and medium-sized companies; they all have fascinating stories to tell and have in most cases have built excellent businesses. Secondly, my business experience helps me to understand owners, to empathise with them and help them. Thirdly, most of them have no knowledge of buying and selling businesses and need professional help. Once the realisation dawned on me that there was a gap in the market for good business brokers and that I had the experience and skills to do the role, I started to develop a business model. 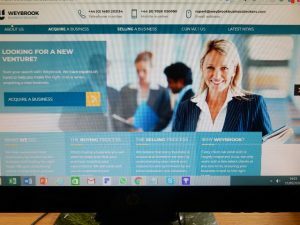 I did look at a franchise option, but felt that their model was restrictive and that my vision for providing the very best service would only be partly achieved, unless I created my own business brokerage. The first thing I did was invest in my skillset and in training to reinforce my experience and to ensure everything I do is authentic. > We will take time to get to know them and understand their business and personal goals. > We will focus on achieving results – the majority of our remuneration is dependent on achieving a sale or purchase. > We will work with a limited number of clients and not adopt a volume model. > Our job is to make the transaction happen, we don’t offer financial or legal advice. We work with commercial lawyers, accountants and financial experts to facilitate deals. >We don’t send clients to meetings unbriefed and attend all meetings, unless not required. > We love what we do and therefore that will translate into offering our clients great service. If we care, it makes a real difference and we want to make a difference, whether it is finding the right qualified buyer for a communications agency, bringing to market a world leading carbon pricing specialist or helping a catering company achieve an exit. >Professionalism, integrity and confidentiality drive our standards. So to summarise I came to business broking from a strong platform, having run businesses and been through the buying process. 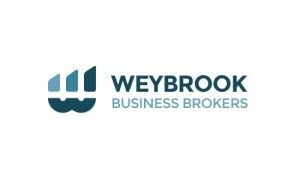 I established Weybrook to provide a brilliant service to a small number of select clients. Our model is dependent on making transactions happen and not pocketing a large upfront fee. Above all we are in this business, because we love what we do, are interested in the businesses we work for and strongly believe that translates into offering an excellent and professional service. “We have to make you aware that his condition is critical and that there is a risk that he may not make it!” those were the words the consultant anaesthetist delivered to my wife and me on Tuesday night. My son was in the back seat of a car that had hit the curb, left the road and somersaulted at high speed. All 4 of the young men who were in the car are in a critical condition, but thanks to the incredible staff of the NHS we are hopeful of a full recovery. I love working and am building a business, my clients and business contacts are massively important to me, they are the fuel that drives me every day, but hearing those words was a stark reminder that whatever you do, you need to remember that is that it those that you love, that is truly the most important thing in your life. 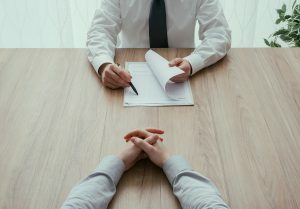 As a broker I help business owners sell their business, I already encourage my clients to plan for life after their businesses have transferred, the conversation invariably moves to family, that will have even more poignancy from now on. This accident has brought our family together even more tightly, and our thoughts are with the families and loved ones of the other boys involved. You don’t know what life will throw up, so my message is work hard, but make sure you make time for your family and loved ones.